Our lovely kitchen maid is wearing a simple outfit of a bed gown, walking-length skirt, and a rather large apron. Upon her head is a cap, with an interesting tie arrangement. She is wearing a basic chemise with a ruffled neckline, no neckerchief though, and on her feet are plain stockings and mules (backless heeled shoes). For her outer layer, this maid is wearing a bed gown, a loose garment with no fitting, flared skirting, and tied at the waist. 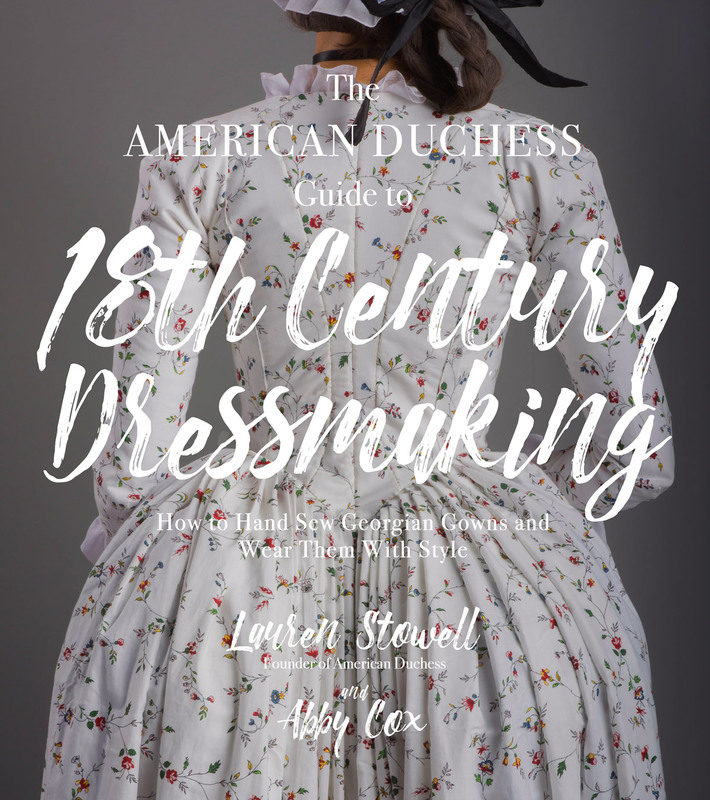 Of bed gowns, Costume Close-Up: Clothing Construction and Pattern, 1750-1790 says, "for physical labor and very informal occasions, women wore short gowns with separate petticoats as comfortable alternatives to fitted gowns with long, full skirts." (pg 43). 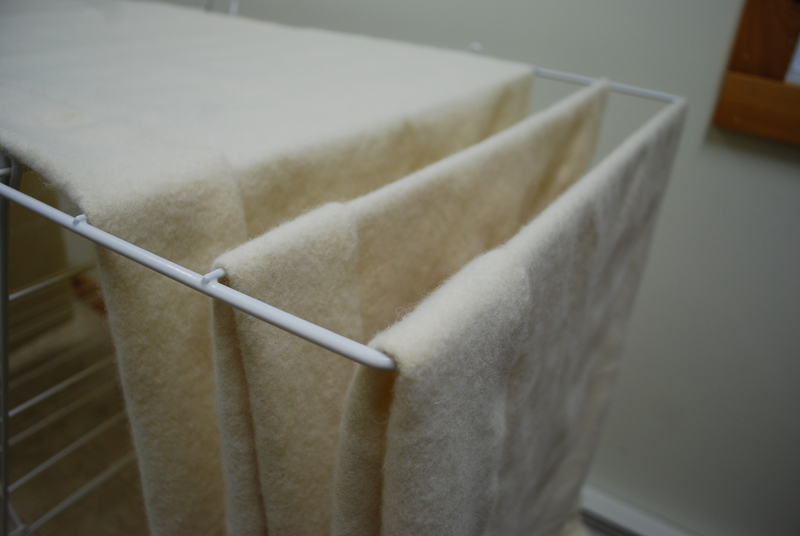 From Duran Textiles - a bed gown layed out flat. 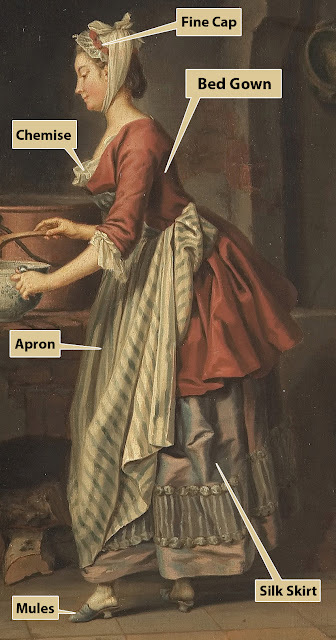 Our maid's apron is very much like one seen in the Colonial Williamsburg collection, or page 47 of Costume Close-Up: Clothing Construction and Pattern, 1750-1790 . 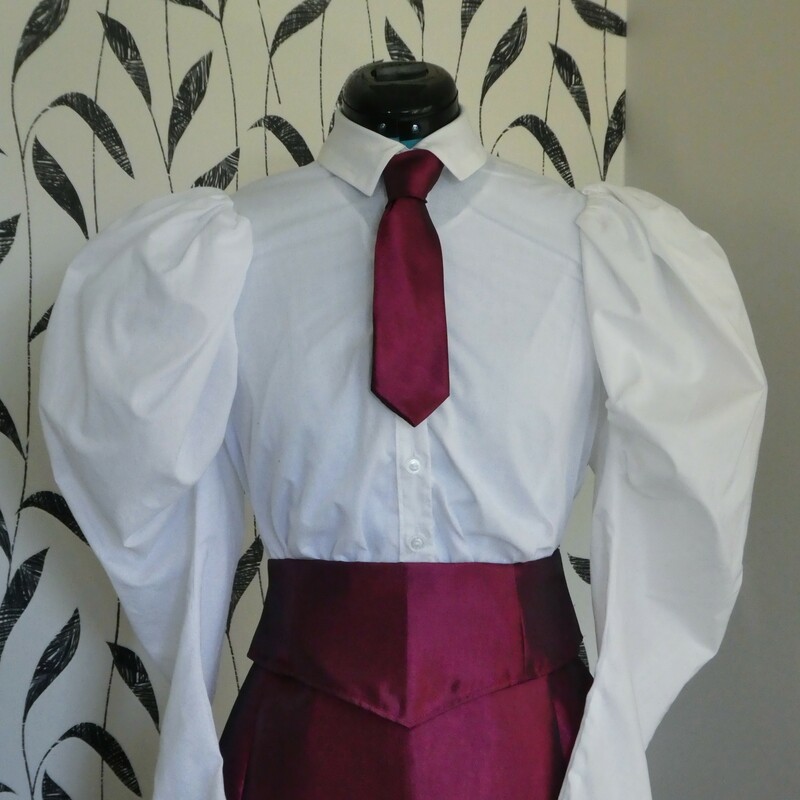 The skirt of the apron is very broad and long, ties at the waist, and the triangular-shaped front pins to the bodice. The skirt our maid is wearing is the most interesting piece. 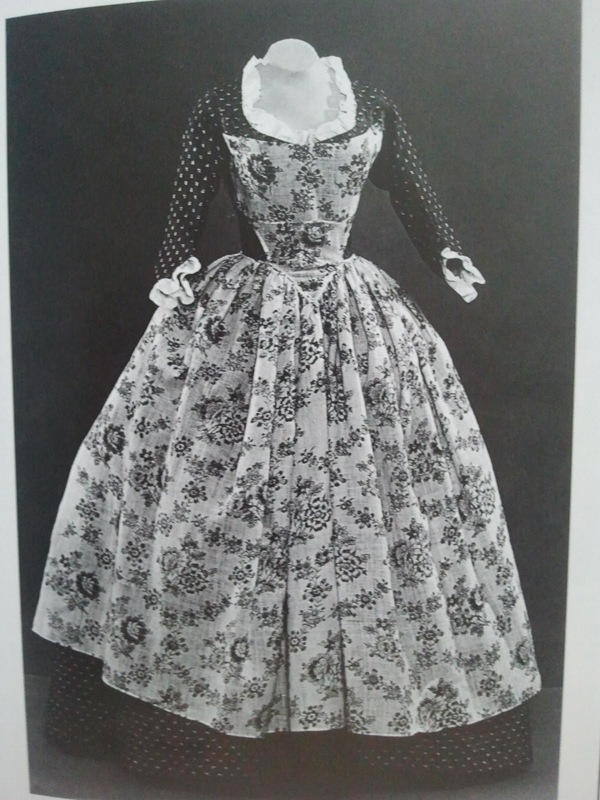 It is a short, "walking-length" skirt, just above the ankle, popular in the 1770s, and has a decorative application I'll talk about in moment. These types of petticoats were made of six panels of fabric, pleated at the front and back in two pieces that tied around the waist. 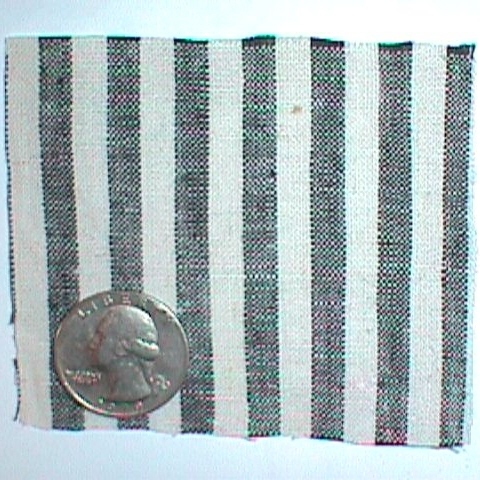 Petticoats like this, from the Williamsburg collection, have hem circumferences averaging around 100 inches. Paintings can sometimes present challenges in identifying fabrics. Silks and velvet are easy to spot, but what are the other textiles? 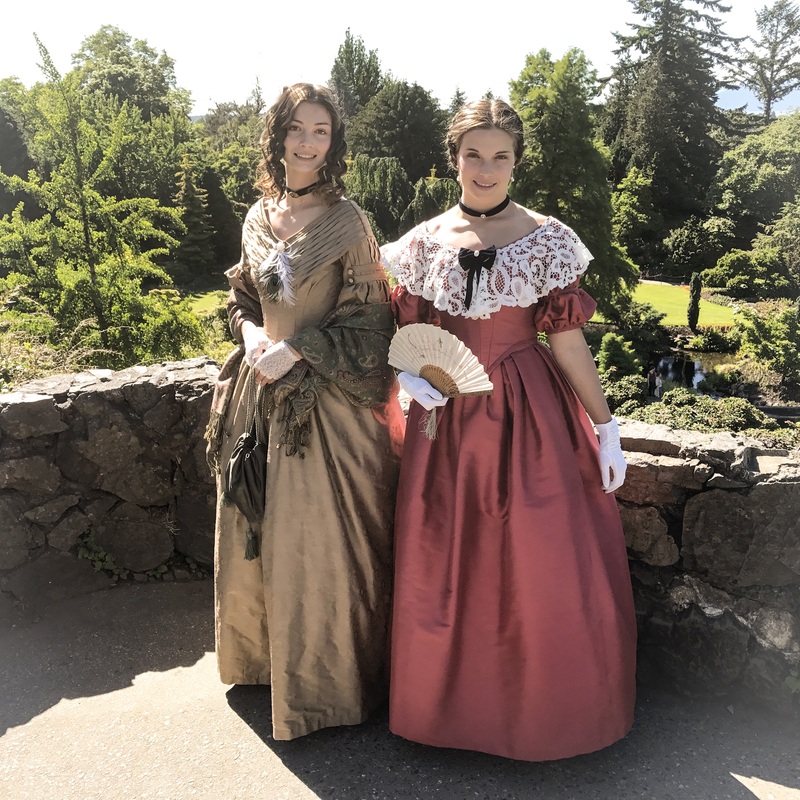 Our maid's bed gown might be silk, based on the rendering of highlights on the folds of her jacket's skirt, particularly, but bed gowns were not often such a lovely material - linen or cotton were typical. Whatever the material, it is a solid color, an contrasts sharply with her skirt, which is very obviously silk, and appears to be a shot silk at that. 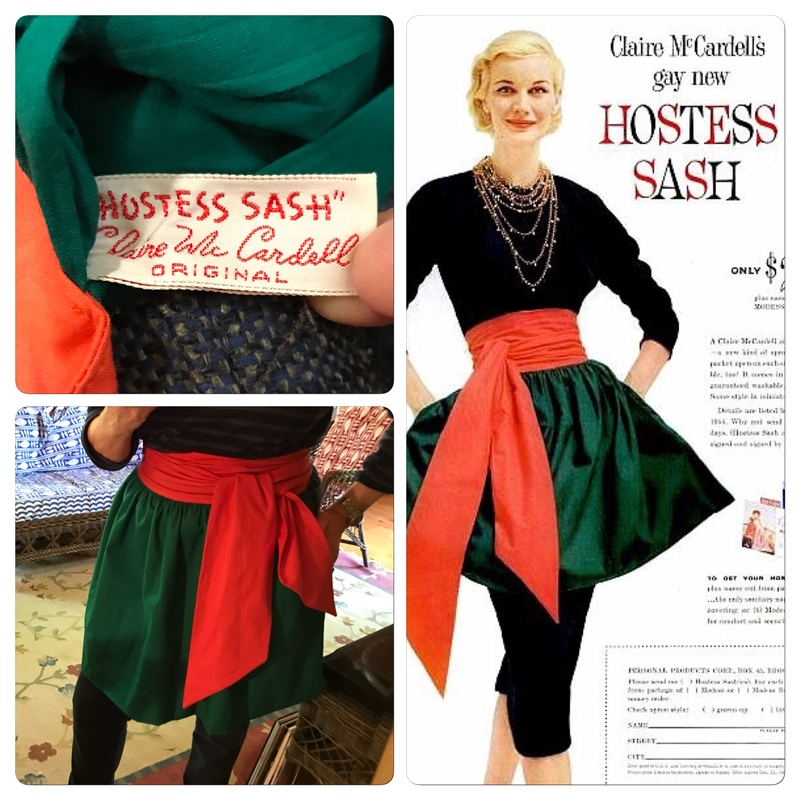 While her caraco is untrimmed, her skirt has a very posh trim around the hem - this would have been a sheer gauze, pleated in a band, and with little puffs on the top and bottom. 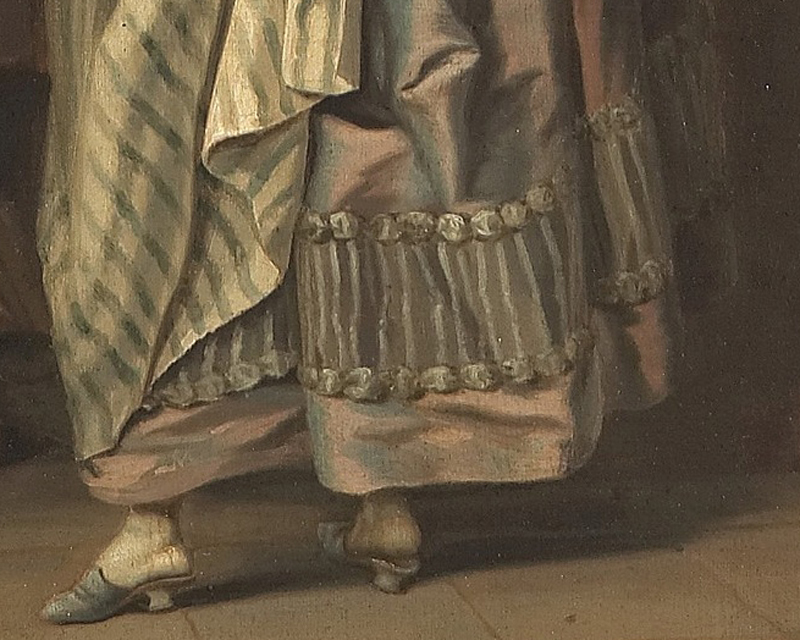 It's a very common trim style for the 1770s, but what kind of maid wears a silk skirt with that kind of trim!? Undies first - even as a maid, our gal would be wearing a chemise (visible), and at least one big petticoat beneath her outer skirt, if not more. She may or may not be wearing a false rump, and it does appear she is wearing stays, even with the informal bed gown. This woman's stockings would have been something like linen or wool - probably not silk, for a lower class gal, but then again, her petticoat is silk, so perhaps! For her shoes - impracticality again! - she is wearing mules, very much like these. Mules were a backless heeled slipper worn by the upper classes, mostly as indoor footwear. The uppers on these would have been textile - silk or possibly calimanco (wool), and the small heels leather. Lastly, our lady's headgear is quite interesting. She wears a cap of fine, sheer linen that appears to be figured in the ruffle. 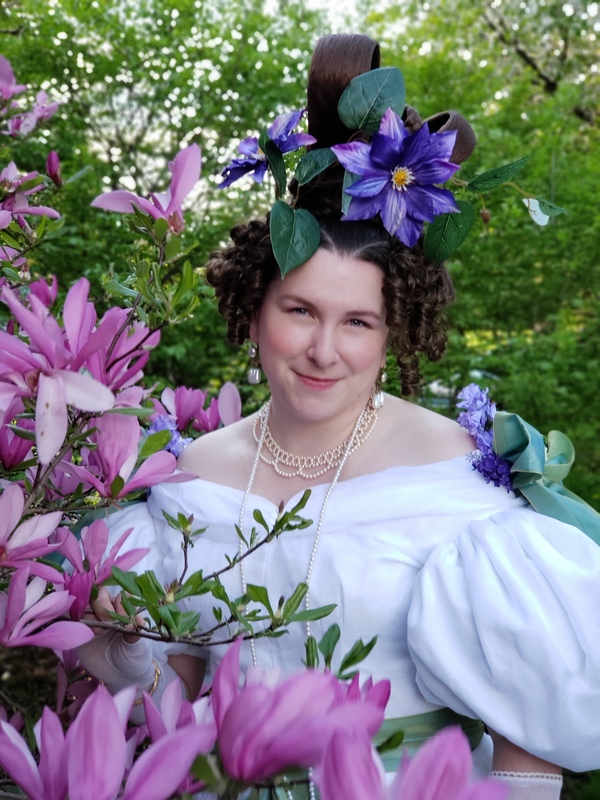 It sits very high on the head, and is trimmed with puffs, similar to those on her petticoat, and the whole thing ties under her chin. I admit I've never seen a cap arrangement like this - if you know more about it, do share in the comments! As we've been looking closely at this painting, what do you think about the woman depicted? Was she a maid wearing silk? or possibly a middle class lady tending a household without servants, but aspiring in rank by way of wearing the clothing of her betters? 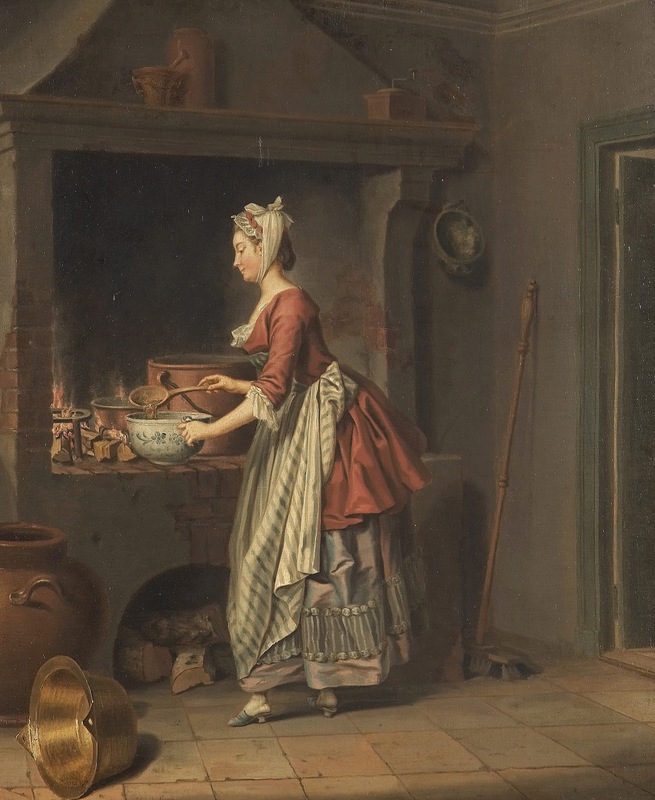 Could this painting be a member of the "the idealized maid" genre? (was there such a thing, or was that only later in the 19th century?). A similar painting from 1761 also depicts a rather well-dressed working woman, though not nearly as luxe as our lady here. Jean-Baptiste Greuze, 1761, "La Blanchisseuse"
Your basic pieces are easy to find patterns for, luckily - JPRyan, WM Booth Draper, Costume Close-Up . Real silks are available at PureSilks, RenaissanceFabrics.com, and synthetic taffetas can be found at Fashion Fabrics Club, and various fabric stores online. 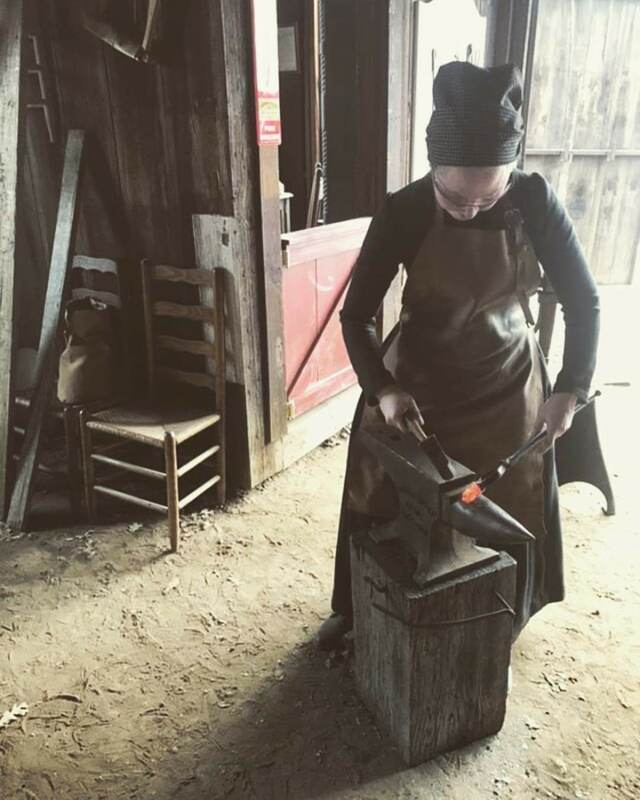 Mules aren't an easy type of shoe to find these days, but try hunting on Etsy or eBay, or spend the big bucks with Sarah Juniper's custom-made Georgian footwear. Otherwise, a nice pair of Kensingtons will serve you well, until American Duchess releases some historically accurate mules. If you *really* want to complete the look, how about a historically accurate, hand-painted earthenware bowl from WoodRidge Studio? Check our their ware on Facebook. Perhaps the maid had some castoffs from her mistress which she wore to have her picture painted. There was bit of a trend for upper-class women to be painted doing lower-class tasks, like cooking or washing clothes. Sarah of ModeHistorique has written about this, tho' I can't find the post on her site right now. I do recall her pointing out a series of 18th-c. paintings of a specific titled woman shown washing & ironing clothes, dressed as a maid, but a very fancy maid. The trend seems similar to Marie-Antoinette's "Hameau," the fake farm she had on the grounds of Versaille where she pretended to be a simple country farm girl. This was all inspired by Rousseau's writing that glorified nature & simplicity & was quite the rage among the upper classes of the 18th century. Trystan, I'll find that article from Sarah. I do want to know more about it! I didn't know if the Marie Antoinette shepherdess trend extended to Sweden, but it definitely begs more research on a cultural level rather than just what we see in the costume. I wonder if this lady was one of these specific titled women? Trystan, I think you're spot on. In the only major Hilleström study in book form (by Gerda Cederström, 1928), the author states that Hilleström repeatedly used family members from the comissioners' households in his paintings. He did paint a lot of very well-dressed maids for sure! I was just about to suggest the same as Trystan! Lauren, your focus picture may be of a lady's maid. 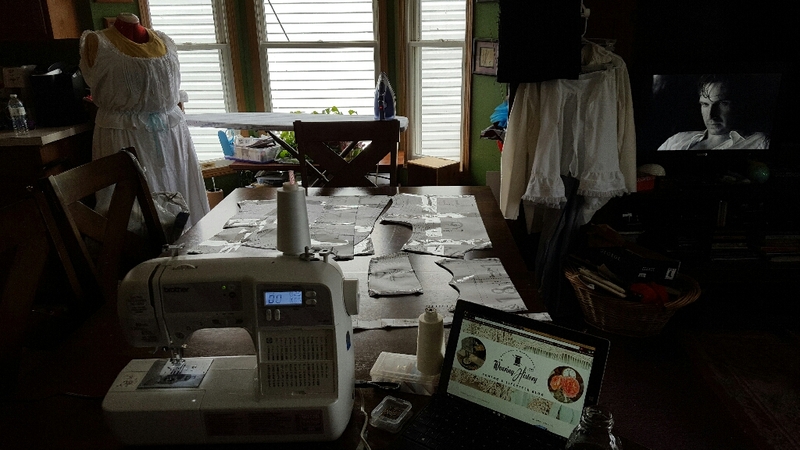 A lady's maid would have a caste offs from her employer and/or a better cut of dress or fabric because of her station. The maid collecting soup from the kitchen wouldn't be unusual if she were preparing a tray to take up to her lady's boudoir. The last image could be a little above working class woman doing chores. She could be a merchant's wife or servant but looking at the state of the room, it is possible this is an idealized image for wealthy consumption - telling it like it is but through a rosy glass? Anyway, I appreciate the break down of historical garments and the openness to allow discussion. Cheers. Angela, any of these could be the case - an idealized image, a ladies' maid. I don't know enough about 18th century household in Sweden to know if a ladies' maid would do the dipping of soup, or if that would be another's chore, then handed to the ladies' maid of higher rank? Time to read more books! I'd translate it "A girl spooning soup from a kettle to a bowl". I think 'piga' is an old-swedish word for a girl even though it nowadays means a maid and 'pige' in Danish (which is really closely related to Swedish) still means a girl. That might explain her fine clothes. Did it differ back then, too? 'The Laundress' was considered quite provocative in it's day so I'd say it definitely falls into a somewhat idealized category. Apparently her direct gaze was what was considered especially risque. 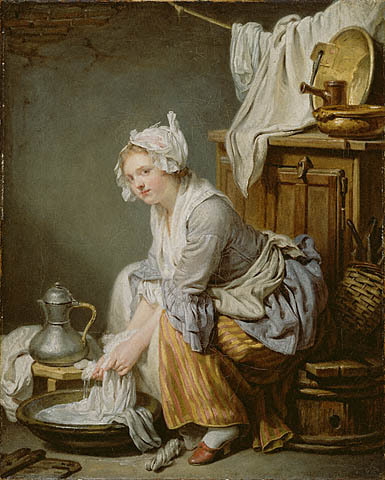 I have a small booklet at home which analyzes this painting in detail and looks at general laundry practices in Paris in the mid-18th century. Laundry has never been so interesting! That does sound fascinating, and she *is* provocative, what a hussy!! Now that I'm home I can give you the link to the booklet. It has LOTS of fantastic domestic/working class clothing resources. The cap tied under the chin reminds me of a quote by Philip Vickers Fithian (1773) that I read this morning in Baumgarten's little book "Eighteenth Century Clothing in Williamsburg" (pg 39): "Almost every Lady wears a red Cloak; and when they ride out they tye a white handkerchief over their Head and face, so that when I first came to Virginia, I was distress'd whenever I saw a Lady, for I though She had the Tooth-Ach!" It does seem practical, although I wonder how comfortable? I don't know if she is a maid or if it is a lady plying, but it was common to give your castoffs to your servants, so she may be a maid. i can't recollect the source, but I know there was complaints around in Stockholm that servants went around dressed in too much finery. The ladies' maid wearing cast-offs seems to be the popular vote. It makes a lot of sense! First of all: Great, detailed analysis! I think that this is an upper class lady portraying an idealized maid. A maid would probably not see the 'romance' in hard work so possibly she would want to be portrayed a little more chic. 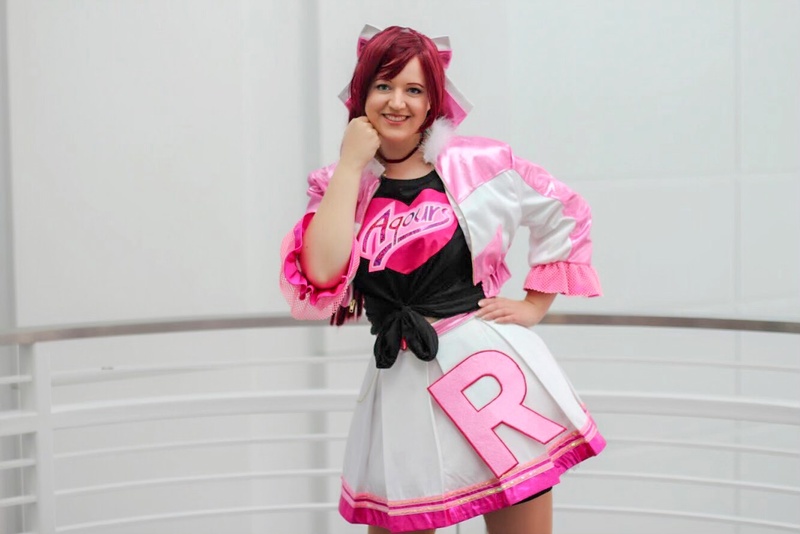 Consider, that, if she was a maid, she put on her best clothes for that occasion, so she wanted to appear to have an upper rank than she actually did. Would the maid of a lady (being rich enough to pass her silk robes to the maid) even earn enough money to pay an artist? Was that artist famous in that time/region? Who else did he portray? But I'd so much like to know who this was! I need to look in to his other works as well. Trystan mentioned above in the comments that he often used family members for his models. I don't think this was meant to be a portrait of anyone in particular, but more of a storytelling image, yes? Maids did wear silk, and ladies and gentlemen of quality complained about it. Apparently it was difficult sometimes to tell the maids from their mistresses, based on dress alone! I read a lot of old diaries and journals, and I've run across this complaint numerous times. Ah HA! What a funny commentary by Defoe! This really turns our modern misconceptions on their heads, for what the serving classes were wearing. Defoe's commentary is on English women, as opposed to Swedish, too, so this practice must have been fairly common. Maybe the lady in the first painting was given those clothes. I have heard of ladies giving their favorite maids/servants their old old clothes. Or maybe the painting is sporting a different meaning. Sounds stupid however the lady is too nicely dressed to be handling what her maids/servants should be doing. And sometimes people painted allegorical subjects in this time period. Oops! Thanks for catching my mistake - I have corrected the text on the image. I originally thought this jacket was a caraco until closer inspection, but I missed the fix on the image. I didn't realize there was a distinct difference between a short gown and a bed gown. I had read this article (http://www.18cnewenglandlife.org/18cnel/short_gown.htm) noting that "short gown" is a modern term describing a short length, working garment like a bed gown. Of the images I've found, they look to be very much the same, though 18th Century Notebook (http://larsdatter.com/18c/bedgowns.html) notes that there seems to be a difference in the existing literature, but it's unclear what it is. If you know the differences, please tell me! May be a romance writter would look at this painting and say she is an upper class girl fallen on hard times (a la Cinderella) but being of good nature she smiles and even the mice love her. A trashy romance writter would have put this girl as the slutty maid who trollips with the master of the house in the evenings and lounges about wearing his gifts and dishing up extra portions of soup for herself because she can. Art is good art if you get caught up in and wonder about the subjects or it gives you a feeling or stimulates your mind. May be he wanted his contemporary viewers to wonder why she is wearing silk. May be they would have known why and that gave them more information about the subject. For example, if it was common practice to give your favored servant your cast offs then the viewers would have known she is a good servant. She tends to her ladies needs in a dignified efficient manor. And her face does look dignified and efficient. It would be interesting to know what the painters goal was...depict a real life scene or a fantasy one. Movie makers sometimes try and reflect real life and some times a totally wild one. Definitely idealized maid, with a small round standard cap - I'd say the tied part is a seperate cloth. She's probably an idealised maid, because she's wearing silk. Silk was illegal for the lower classes in Sweden to wear from 1766. I believe there were also restrictions on the width of lace for the lower classes. This particular law was repealed in 1772, when George III became king. He tried introducing something called the Swedish Costume or the National Costume, which he envisioned all Swedes from all classes wearing. It failed, but still lives at court, where you can see HM the Queens attendants wearing a very distinct sleeve. The law was reintroduced in 1794, but I'm not sure how long it took until it was repealed. I don't claim to be as much as a scholar as those who have previously posted here, I know nothing about swedish painting in the 18th-19th centuries, I'm going to agree with the popular opinion that she may be wearing hand-me-downs. There is also a second option and one that hasn't been mentioned yet: she could have purchased the nicer clothing at a second hand shop. We don't often think about it, but the rich back then, just like today, would often send or even sell(if they needed the money) their used/unfashionable clothing to a charity or second hand store. Even back then the truely wealthy would not be caught dead wearing last year's fashions. This may account for the "mix and match" appearance of her ensemble. However, artistic license being what it is, we can theorize all we want, but only the artist(and prehaps his contemporaries) really knows what the "real deal" was. For all we know she could have been a model and the clothing could have been chosen for it's contrasting textures. It is an interesting painting though, and I would love to go back in time to find out what was REALLY going on there. Just found this -- 6 months later -- but hey! Maybe she was an artist's model, or an actress, and pulled the garments from his costume collection?